DETROIT RUNNER....: More Virtual 5k news! Today I did 3 miles....on the dreadmill....it stunk....but was better than running out on the icy streets. I pledge to get out there again soon but will probably not be until Saturday. We are expecting to get another 12-15 inches tonight into Wednesday. If we get it, it will be one of the worst Michigan has seen and I'll be working from home that day. So great news with the first annual "I just felt like running" Virtual 5k that I'm putting on!!!!! Great prizes in my opinion. 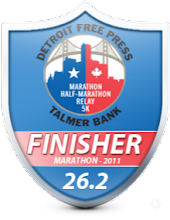 If you are interested in signing up, the race is not until 3/5/11 and you can run it a week before or a week after that date. You can also run it as part of a longer run or another race. All I ask is that you follow my blog. You can sign up here by leaving a comment that you're in and that you also follow my blog. Don't forget to tell me the State you live in as well so I can track that too - I'm hoping for a runner in every State but it's looking like more cold weather States than warm weather ones. This has been lots of fun setting this up. 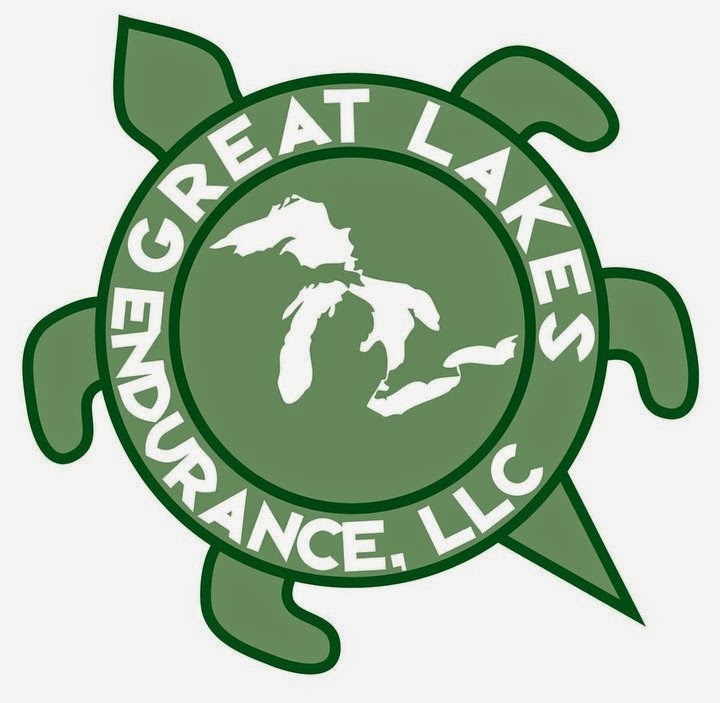 Another thing I would like to see people do, is "Like" SPIbelt and RoadID on Facebook and leave a message that Jeff at Detroit Runner sent you there. I'll leave that up to you - it's not required. It's just nice to give the sponsors a little more exposure because they were very generous to do this for us! We currently have 47 people(in 24 States and 4 Countries including the USA) signed up so far with 7 prizes, that's a 15% chance of winning something!! Michigan is leading the States with 9 people followed by New York with 5 people. Wow!! Those are some awesome prizes!! :) We are getting the snow, too...blah!! We are already getting hit here with snow. its supposed to taper off around noon but then will start up again tonight. I really hope I don't have to go to work tomorrow, but I don't remember the last time my company was closed. This will be so much fun ... great job getting things together Jeff. I don't facebook, but I had my wife go there and "like it". Have a great day! 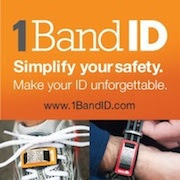 I already "like" RoadId on facebook but I will like the Spibelt. That's awesome, Jeff!!! Look at you go with this! 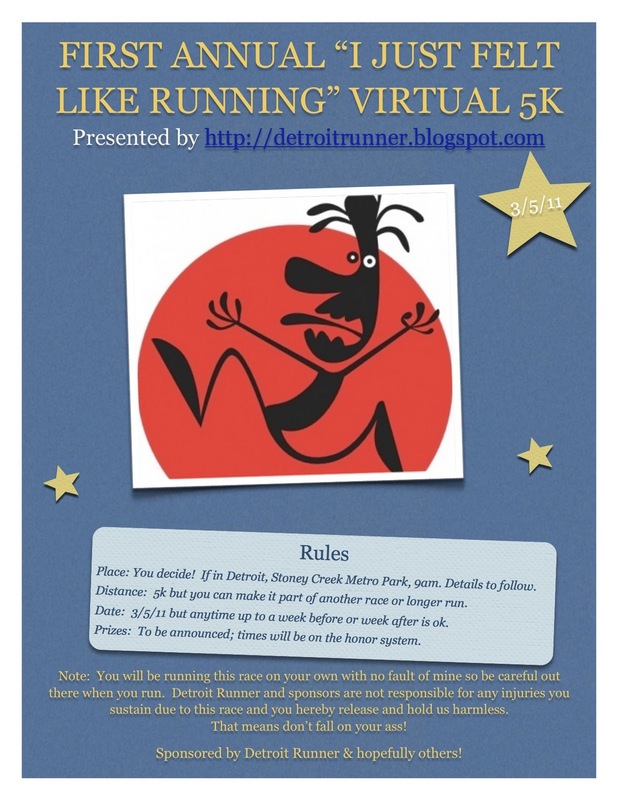 You are really organizing a great virtual race, well done! We are having heavy thunder storms here in Johannesburg this afternoon. It's 16:52 now. Love Spibelt! I use mine all the time. You can cram so much stuff into that little thing and you don't even know you are wearing it. Great job so far in organizing the 5K. This is shaping up to be an awesome contest! Maybe a side job as a RD in the future? I'm most definitely it!! I'm in Virginia and will be following you right after I post this! Alright already. You had me at SpiBelt. I'll go sign up. I already like Spibelt and RD on FB. I love SpiBelt! I bought two and gave one to my daughter. I really needed something to carry my inhaler, phone and a few other things and the SpiBelt is perfect for that. What I really need is a Roadid!. I lost my drivers license twice while running, luckily I was able to back track and found it. Nice prizes! I'm a fan of both RoadID and SpiBelt - should be a fun race! YAY!! Awesome prizes - can't wait!!! Man! You really know how to work the sponsorships! Tahoe - no problem, I understand! dawn - I bet you're off today! Holly, Teamarcia,Michelle, Allison - I'll put you down! Pat - you are really lucky you found it. Danny - I just asked. Sometimes it's that easy. Oh this is exciting...I didn't know that we could do it if it was a week later...I'm in then. I have my first 5k race since college planned for the week after...I think the 11th or something...The Shamrock Run...will this count towards your virtual race? I've never done one of these before. Fun.